The Food Bank is primarily a food resource for low income families, disabled individuals, children and seniors to receive a 'helping hand’ in a time of emergency. All resources at the food bank are free, with the hope that when an individual sees the opportunity, he or she will help someone in return for the help they received. 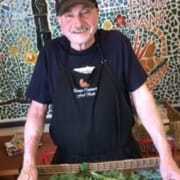 Would you recommend BONNER COMMUNITY FOOD CENTER?